Akuamma seeds have a rich history across the continent of Africa. The seeds originate from the Akuamma tree (Picralima nitida) and contain “akuammine” as their chief alkaloid. Though technically an opioid, akuamma seeds don’t exactly deliver the effects of classic opiates. At the same time, its actions on the kappa receptor give them tremendous analgesic potential. 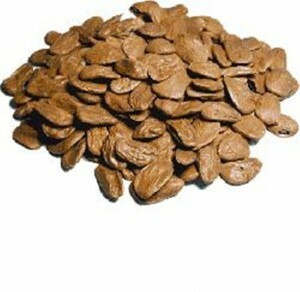 In fact, the dried seeds have traditionally been used medicinally throughout West Africa for hundreds of years. Akuamma Seed Powder: This premium powder offers the absolute most flexible way to explore the potential of Akuamma Seeds. This is a very convenient way to take the Akuamma seeds, which is similar to grounding the whole seeds, and is hands down the best way for me to find relief. I have found approximately 1/4 of a teaspoon is about 1 seed. Although the toss and wash method is not the most pleasant of ways to ingest the seeds because of the taste, the effectiveness of this method is by far the fastest way to pain relief and relaxation. Next to taking the ground Akuamma seed powder, this is my favorite way of ingesting and buying the Akuamma seeds. One capsule is equivalent to about 1 seed, and 3 capsules is my sweet spot for this method. Also, the Akuamma capsules can be very versatile, as you can empty the capsules into a spoon to take via the toss and wash method if the need for a quicker way to pain relief, or I punch a hole in the cap. Approximately one seed capsule = 1/4 teaspoon= 1 Akuamma seed. Akuamma Seed Tincture: Our Akuamma Seed tincture is made from 80-proof grain alcohol and certified organic vegetable glycerin . An easier way to research the amazing akuammine has emerged! The way I use the Akuamma tincture, is to take a few dropper fulls to either get a jump start in taking the Akuamma capsules (for a quicker, fuller pain relief), or to add it in between doses for breakthrough pain. While it doesn’t last as long as other routes of oral ingestion, this method is by far the quickest way to pain relief and/or relaxation.